Tanner caught this 23.5″ hen on the Guadalupe River on 12/19 – Courtesy Living Waters Fly Fishing in Round Rock, Texas. Come join us for dinner at Pok E Jo’s BBQ at 6:00 P.M. and/or join us back at the shop at 7:00 P.M. for Fly Tying. We now have round table fly tying and a scheduled “Fly of the Week.” The Fly of the week for 1/9 is The Foxy Clouser. 10:00 A.M. – Wader Care and Repair Clinic. Come and learn how to care for and repair your pair of breathable waders! It’s not as difficult as you might think! Chris will be demonstrating how to fix leaks and pin holes on his personal pair of Simms waders using AquaSeal! 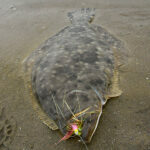 Bring your pair of breathable waders in for us to take a look at! 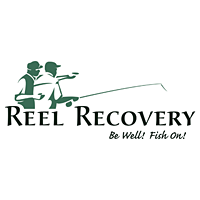 1:00 P.M. – FREE Fly Reel and Fly Line Cleaning. We will have all the tools and supplies on hand to clean and lube your fly reel to make sure that it is tip top shape! Bring in your fly reel and let us clean it up for FREE! We always offer this service free of charge at the shop but we wanted to have a time when everyone can bring their gear in and watch us clean it! 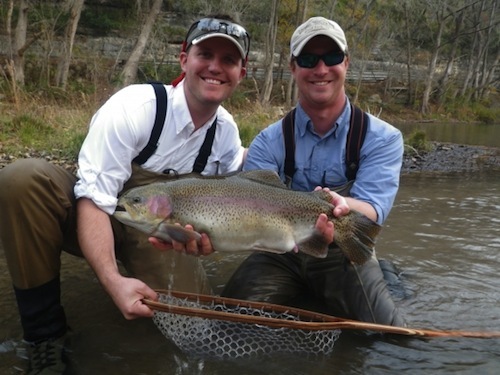 3:00 P.M. – Single Hand Spey Casting Clinic – This clinic will be held on the water at Memorial Park in Round Rock. We will meet at the shop at 3:00 P.M. and then head to the park for the actual demonstration. Spey casting is not just for two-handed fly rods, in fact it is one of the most useful forms of casting in the sport and can be done effectively on single hand rods as well! Come watch Chris show you how to cover more water with less effort using single handed spey casting techniques. Come join us for dinner at Pok E Jo’s BBQ at 6:00 P.M. and/or join us back at the shop at 7:00 P.M. for Fly Tying. We now have round table fly tying and a scheduled “Fly of the Week.” The Fly of the week for 1/16 is Jim’s Damsel. Come join us for dinner at Pok E Jo’s BBQ at 6:00 P.M. and/or join us back at the shop at 7:00 P.M. for Fly Tying. We now have round table fly tying and a scheduled “Fly of the Week.” The Fly of the week for 1/23 is Whitlock’s Near Nuff Sculpin.